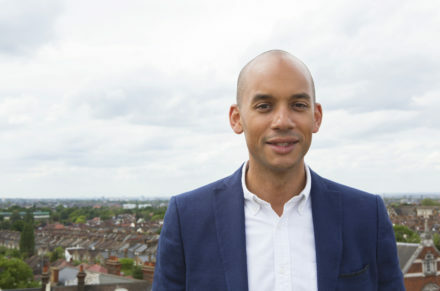 This is the full text of the Facebook post published by Chuka Umunna, Open Britain supporter and chair of Vote Leave Watch, following Tony Blair’s call for voters to consider backing Tory or Lib Dem candidates in order to oppose Brexit “at any cost”. Tony Blair is wrong to suggest in any way that voters should look elsewhere and form some anti-Brexit Alliance. No ifs, no buts: voting Labour and maximising our position in Parliament is the best way to stop Theresa May’s hard Brexit. I campaigned passionately and around the clock for the UK to remain in the EU during the referendum campaign last year. I led the Labour IN for Britain campaign in Greater London, and played a leading role in the cross party Britain Stronger In Europe campaign. I am a leading supporter of Open Britain and chair the cross party Vote Leave Watch campaign. I am passionately opposed to a job-destroying, cliff edge, hard Brexit and am standing for The Labour Party on a platform in Streatham where I am clear: I will be fighting for Britain to stay in the single market and the customs union if re-elected. I am equally clear that the best antidote to the direction Theresa May – a hostage of the extreme Brexiteers in her party – is taking the country, is the strongest possible Labour opposition and the greatest number of Labour MPs. I could never ever countenance suggesting voters support Liberal Democrat or Conservative candidates on account of their Remain credentials – this would require turning a blind eye to the cuts to our local schools, the NHS and other public services instigated by both parties in Government from 2010 to 2015 and carried on by the Tories alone since 2015, which all our communities are now suffering from. What the Liberal Democrats and Conservatives have done to our public services in government since 2010 and the cuts to support for those on low incomes, the disabled and others in need is utterly unforgivable. Whatever common ground Labour people may have with them on Brexit, we cannot ignore or forgive this.